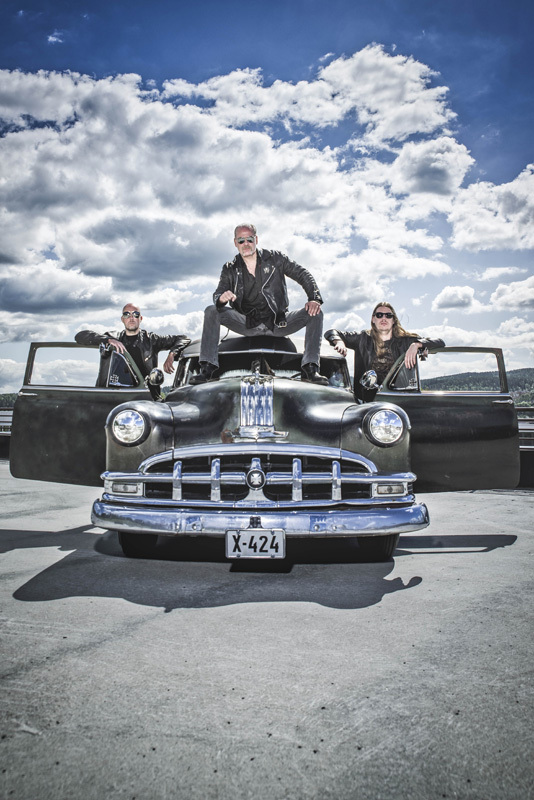 Pain City is new band from Norway, formed in 2014 by Stian Krogh, formerly the main songwriter and lead guitarist of The Carburetors. Essentially a power trio the band features Petter Haukaas on drums and Morten Nilsen on bass. Keep It Real is their latest and second album. 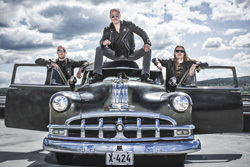 If you have some knowledge of The Carburetors, Krogh and Pain City stray little from that band's version of heavy metal rock. Pain City blends sharp metal riffs with rock rhythm and groove, and then adds some punk energy and pop sensibility. The songs hard and heavy, but also have a shot of rock and groove to give them some AOR accessibility. You'll hear this mixture in songs like Alive And Free, Today I Ain't Myself, Rock Them All, or Cannonball On Fire, a firecracker of a song that has some brisk speed with groove. 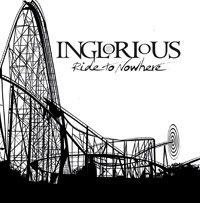 For something different, Swallowed By Flames, another metal rocker features fine vocal harmony and, about two-thirds in, a fine breakdown with light guitar over drums. If I could make a strange comparison, Pain City sounds like a less angry, more friendly, Motorhead. Yeah. Weird, huh? Essentially, with Keep It Real, Pain City offers some brisk heavy metal rock with some get up and groove. Check them out. 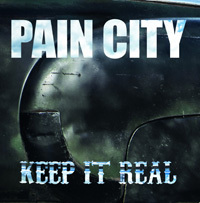 Essentially, with Keep It Real, Pain City offers some brisk heavy metal rock with some get up and groove. Check them out.